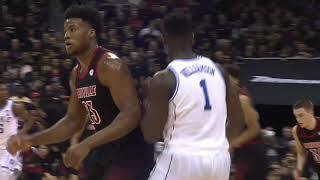 Zion Williamson Duke vs Louisville - Highlights | 2.12.19 | 27 Pts, Huge Comeback! 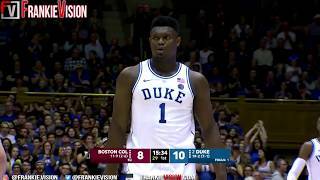 Zion Williamson Duke vs Boston College - Highlights | 2.5.19 | 16 Pts, 17 Rebs, 4 Stls, 3 Blocks! 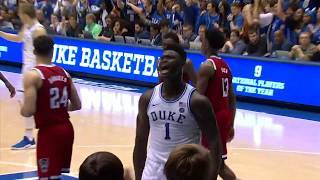 Zion Williamson Duke January Highlights Montage 2018 -19 Season (Part 3) - 25.3 PPG! 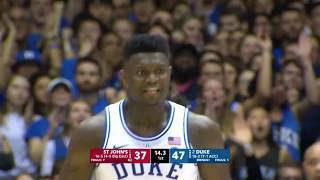 Zion Williamson Duke vs Notre Dame - Highlights | 1.28.19 | 26 Pts, 4 Blocks! 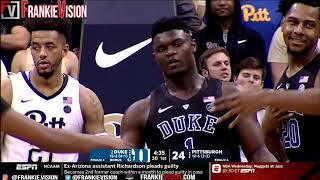 Zion WIlliamson Duke vs Pittsburgh | 1.22.19 | 25 Pts, 7 Rebs, 7 Ast, Best College Freshmen Ever! 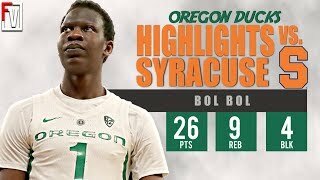 Zion Williamson Duke vs Syracuse - Highlights | 1.14.19 | 35 Pts, Tough Lost! 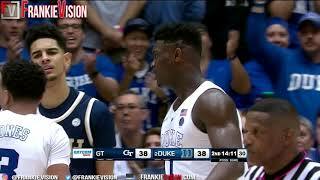 Zion Williamson Duke vs Clemson - Highlights | 1.5.19 | 25 Pts, 10 Reb, 2 Blocks! 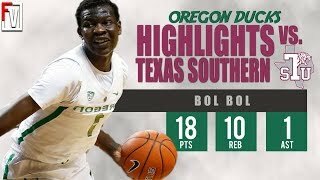 Zion Williamson Duke vs Texas Tech - Highlights | 12.20.18 | 17 Pts, Fouls Out! 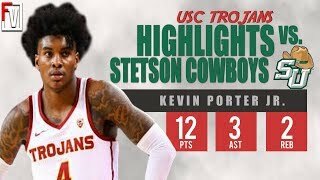 Kevin Porter Jr. USC vs Stetson - Highlights | 11.14.18 | 12 Pts, Monster DUNK! 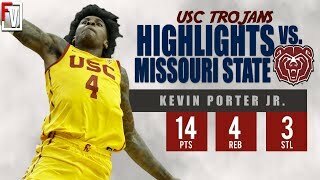 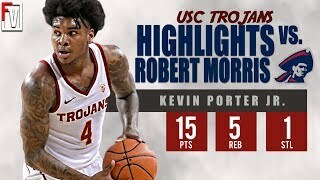 Kevin Porter Jr. USC vs Robert Morris - Highlights | 11.6.18 | 15 Pts, Official Debut! 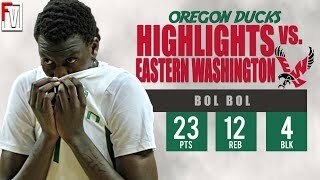 Bol Bol Oregon vs Syracuse - Highlights | 11.16.18 | 26 Pts, 9 Reb, 4 Blk, Birthday Bol! 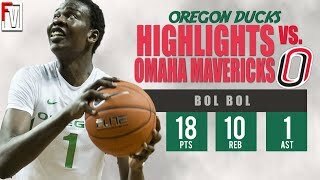 Bol Bol Oregon vs Iowa - Highlights | 11.15.18 | 14 Pts, 7 Rebs, 4 Blocks! 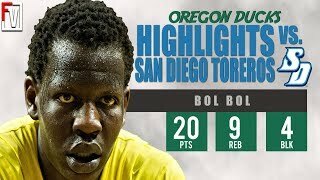 Bol Bol Oregon vs San Diego - Highlights | 12.12.18 | 20 Pts, 4 Bks, Last Game! 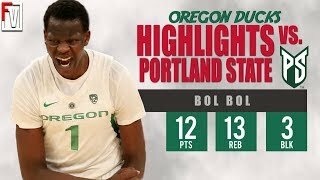 Bol Bol Oregon vs Portland State - Highlights | 11.6.18 | 12 Pts, 13 Rebs, 3 Blocks!